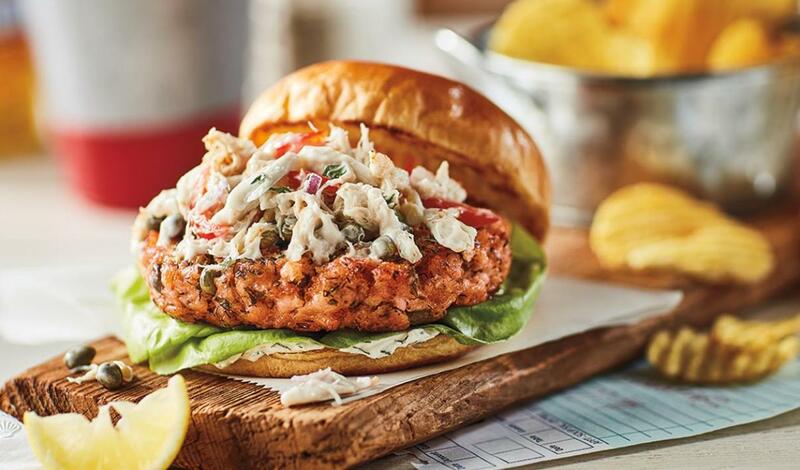 Fresh-made crab salad tops a wholesome salmon patty on a freshly toasted bun finished lemon-dill cream cheese. Combine all ingredients for the crabsalad and chill. Whip cream cheese until light and smooth. Incorporate remaining ingredients and mix until well blended. Spread Lemon Dill Cream Cheese on buns. Top with lettuce. Top with a cooked salmon patty and crab salad.